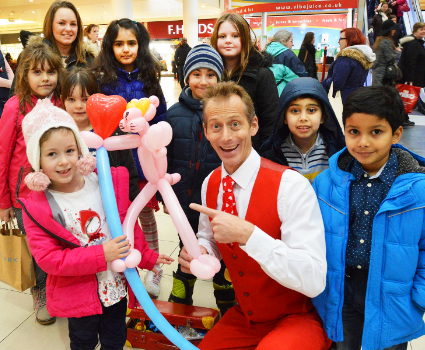 Balloon modelling packed with a whole load of fun and entertainment. 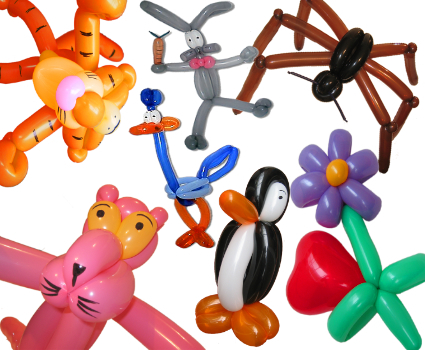 Every Balloon is a master creation, you can choose from larger than life animals, cartoon characters, flowers, big fat penguins, Ghostbusters back packs and many more crazy creations. Although, just remember, if you want an average balloon doggie you won’t find it here!! 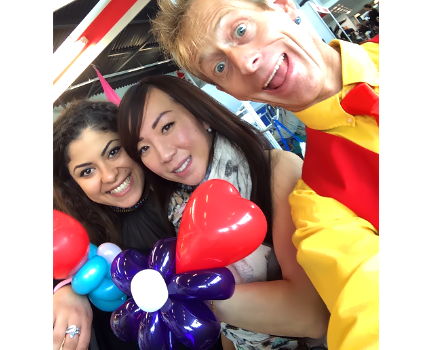 I will often combine making balloons with magic and comedy fun as each balloon creation is a whole routine perfect for each recipient. 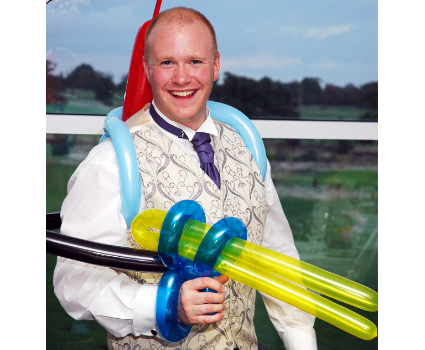 Furthermore, if you have a themed event everything can be themed from colours to specific balloon models. You may find yourself taking away a romantic bouquet for the wife or wearing a Ghostbusters back pack on the bus home…join in at your own peril! 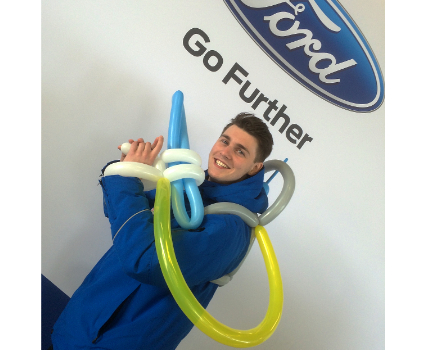 Just get in touch to find out how i can make your event Balloontastic.